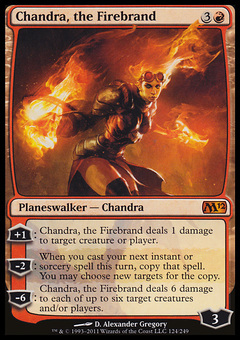 Chandra, the Firebrand ($1.64) Price History from major stores - M12 - MTGPrice.com Values for Ebay, Amazon and hobby stores! 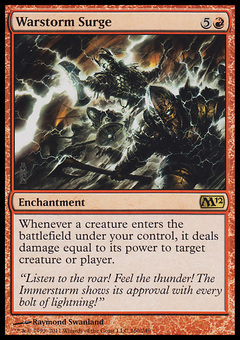 Card Text: +1: Chandra, the Firebrand deals 1 damage to target creature or player. -2: When you cast your next instant or sorcery spell this turn, copy that spell. You may choose new targets for the copy. 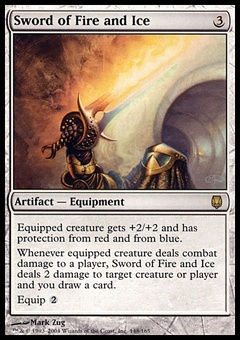 -6: Chandra, the Firebrand deals 6 damage to each of up to six target creatures and/or players.